This beautiful pink and purple bouquet is one of the best examples that these color flowers can be combined perfectly. 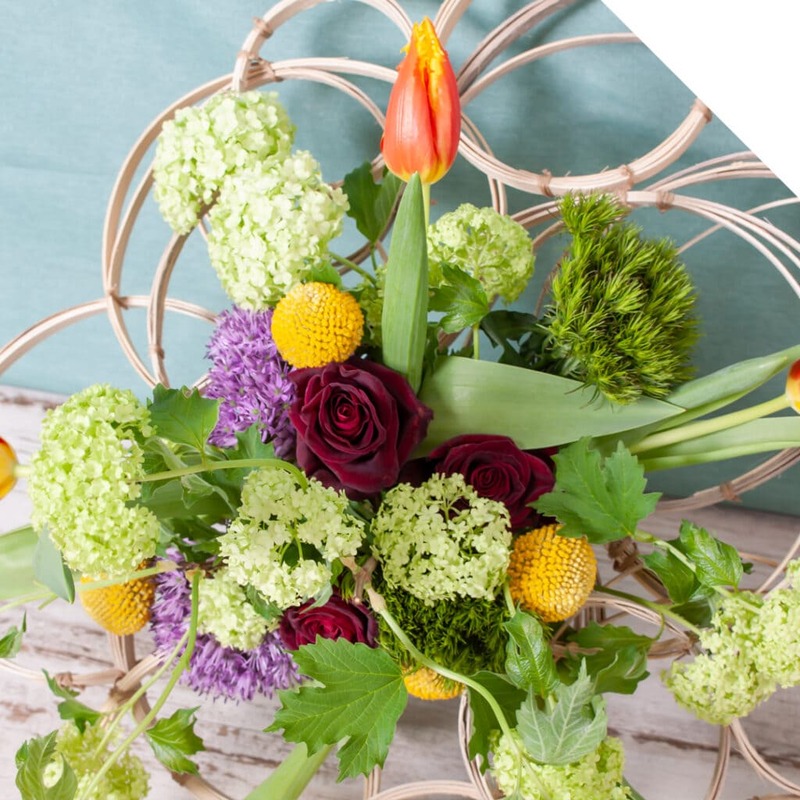 The flowers that are used in this bouquet include Calla Rudolph, Veronica Anna, Rose Spray Misty Bubbles and Nerine Bo Ras van Roon. 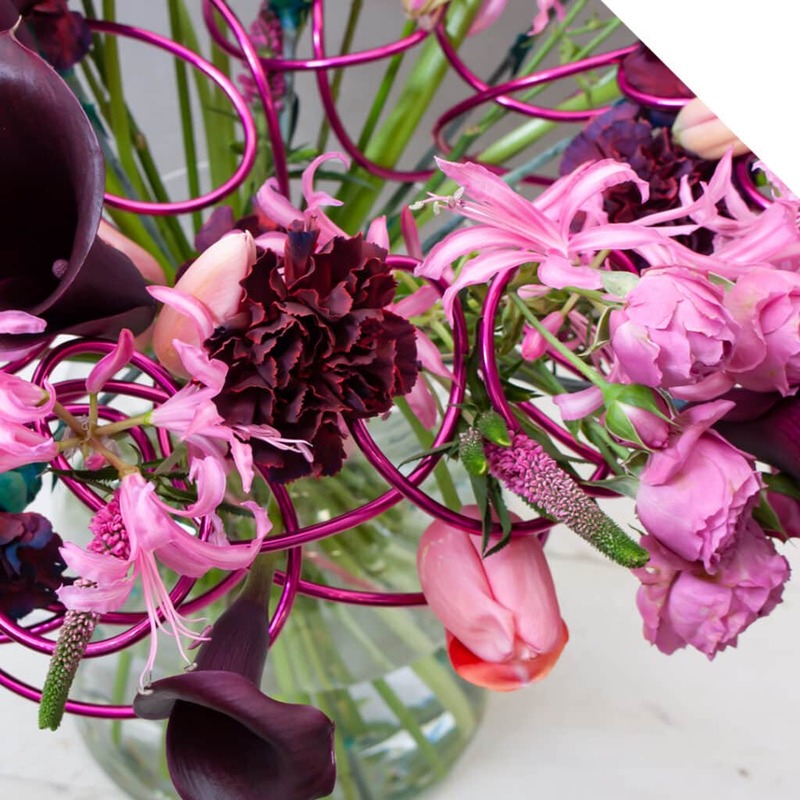 Order the flowers in our webshop, follow the steps below and create this beautiful pink and purple bouquet! Take the thick purple wire and bend circles in it. 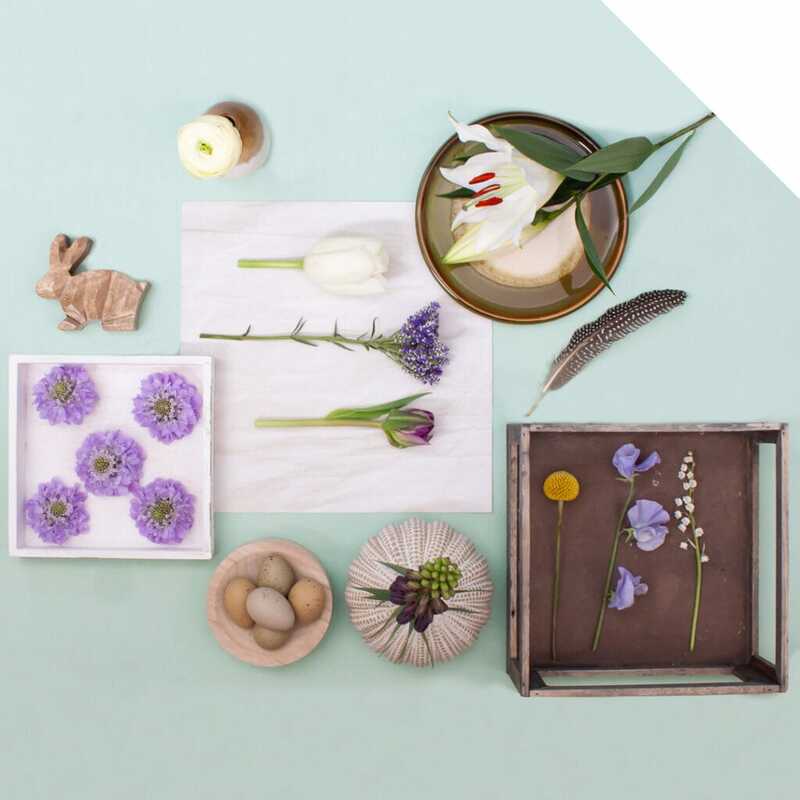 In this way you create a frame where your flowers will fit in nicely. Now add the Rosa Spray Misty Bubbles, Veronica Anna, Calla Rudolph and Tulip Renown. Spread them nicely in the frame for an evenly result. Next, wind floral tape around the stems very tightly. Then cover it with the pink colored string. 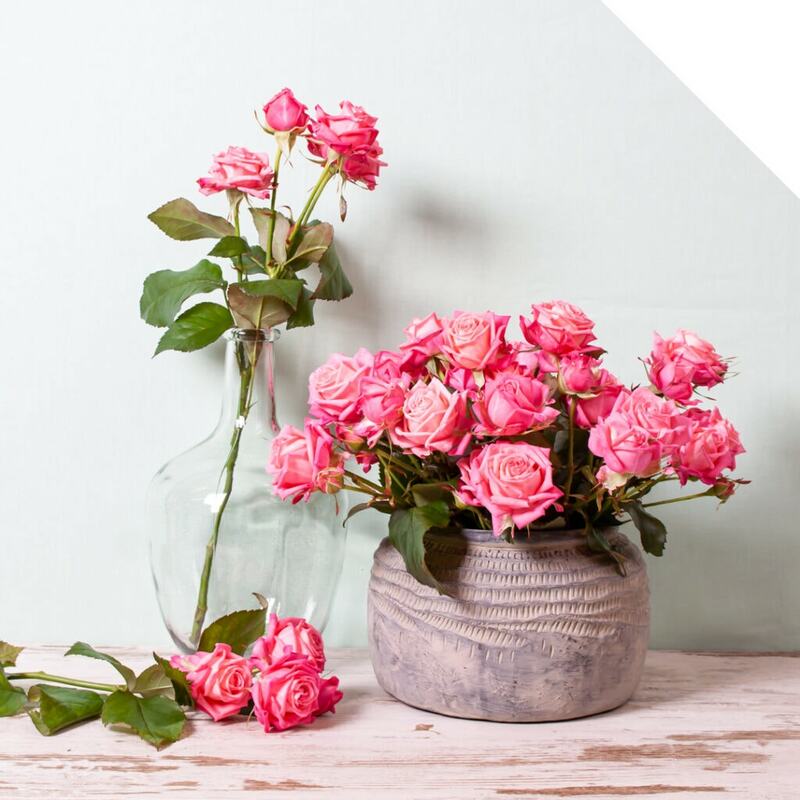 Cut the stems at your desired length and place in the vase. Your beautiful pink and purple bouquet is now ready! Enjoy!